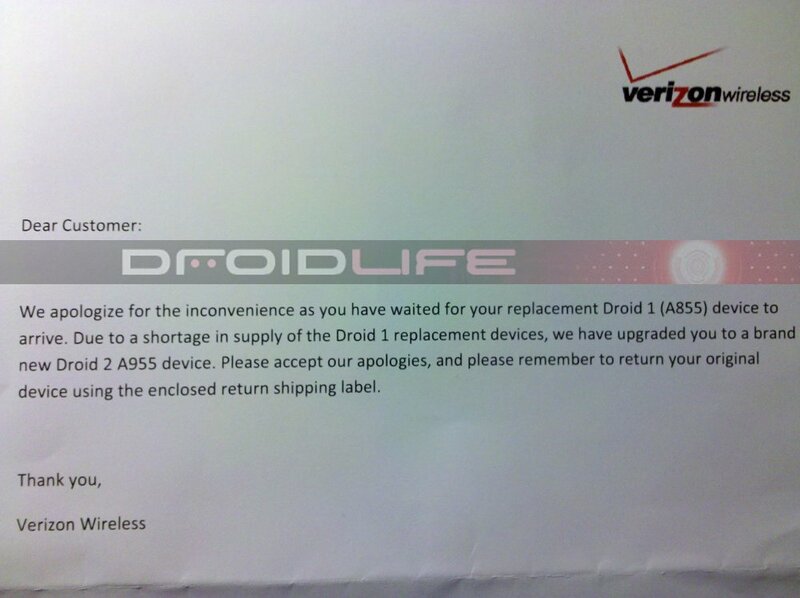 We broke the news last week that Verizon was sending out Droid 2 and Incredible devices as warranty replacements for Droid 1’s and it looks like they aren’t stopping any time soon. After another 2 dozen confirmations from readers, we received this shot of the letter that’s included in some shipments. What’s interesting, is that customers are assuming that a D1 will be in the box and are instead opening it up to a nicely upgraded surprise. Milestone 2 Makes Brief Appearance? Does HD Video?